After more than a year since last time, it was great once more to return to the always fabulous world of music making in complete darkness. With fellow Light Out - members Steven Walter and Magnus Boye Hansen it was a surprising joy to do this again, and great to get confirmation that we are far from done with this concept yet. Out new program premiered in Waiblingen in beginning of February. There are always a fair amount of nervousness connected to the very first performance of a new program and this was no exception. The lack of security in the form of sheet music, sight or visual communication is especially present when you dont really know if what you are trying to do is really possible. However this turned out the be our perhaps best launch ever, with everything going smoother then any of us had dared hoped for. A great delight to do the Peaches Christ Superstar once more, this time in Hobard, Australia. The show was a part of the Mona Foma festival in Tasmania and proved a great opportunity to visit the place for the first time. The show was great fun as always, with a very lively and humorously active audience. It took place in The Royal Theatre, the oldest theatre in Australia. I sadly missed the rest of the festival, but got a visit to the absolutely flabbergastingly breathtaking Museum of Old and New Art on the island. This is apparently Australias biggest privately owned museum and is hosted in a huge bunker on many levels, build as a maze you manoeuvre though hunting for the next piece of art. This is also where the main festival took place, spread out between the various rooms, halls and hallways. There was a great review of the show in the guardian, which can be read here. December was a great month for Laurent Chetouane's Khaos. With several shows in both Athens and Hamburg the piece really got a chance to mature. 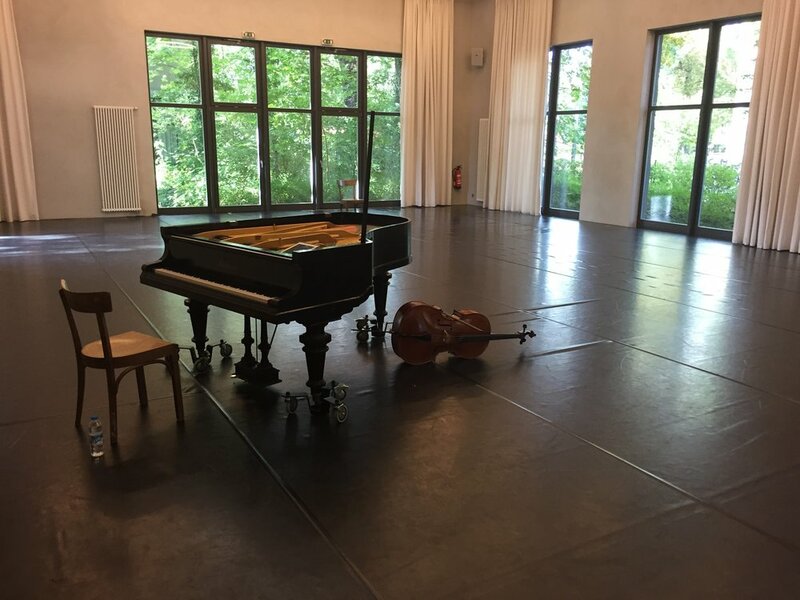 There are many interesting ideas present in this piece, but from a musical point of view I would certainly highlight the relationship between movement and music as especially fascinating. There is a point towards the end of the show where the question of priority is very clearly formulated: Does the search for the right sound produce the music or is the opposite the case? This beautiful and powerful question is of cource strong when dealing with performing musicians but is taken to a whole new level when Chetouane's four brilliant dancers are also thrown into the mix. We finally had our first release of the Goldberg project a few weeks ago with the musc curator Henry featuring the first recording Johann Günther and I made in Oslo last summer. The release was accompanied by a podcast episode devoted to the project and an article in VAN magazine exploring our approach in dept. It was great to visit the Düsseldorf Festival once more. Last year we did a series of concerts with LightsOut in a small night club, and this year they had also planned something rather special. The two concerts took place on the 22nd floor with a great view over the entire city. 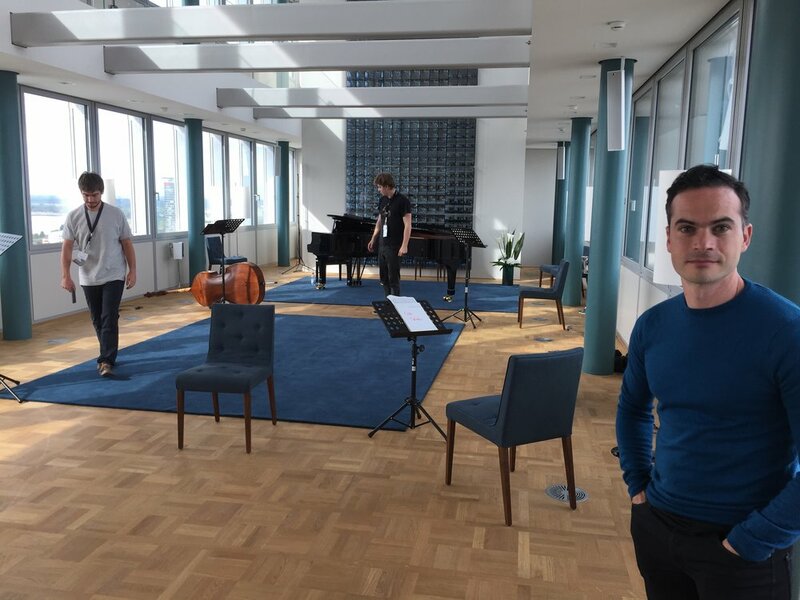 Our version of Canto Ostinato lasts about 90 min so during the performance we could enjoy a great sunset and then a marvelous view of the city by night. The effect was enhanced by the music which was more drony and sleepily groovy than ever. We just finished another week working on the music for Laurent Chetouanes chaos - project and it was a pretty intense few days. 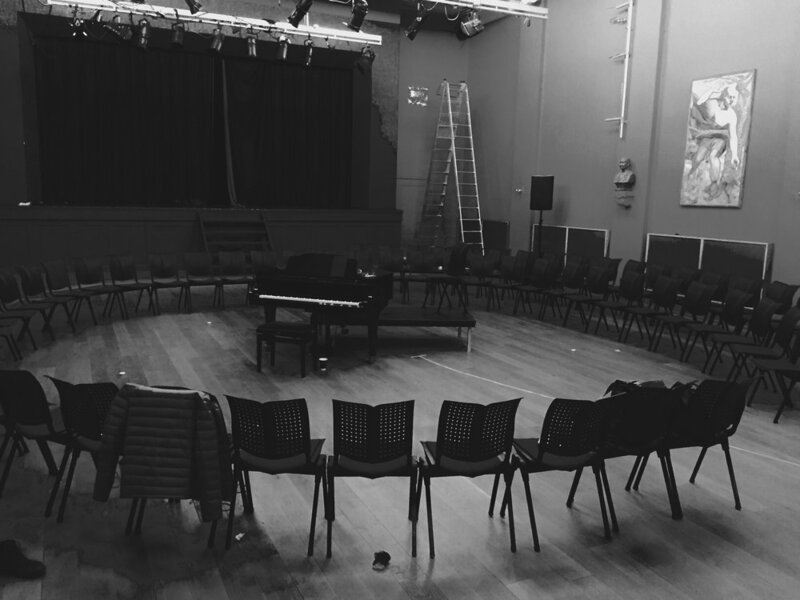 Right now we are constructing the overarching musical concepts that will in the end surround and engulf the entire show, including solo pieces for each musician by Bach, Cage and Rihm. Great show yesterday with Peaches Christ Superstar at Everybody´s Spectacular in Reykjavik. It's always a pleasure to perform together with Peaches and last night in Reykjavik was no exception. This show is definitely a refreshing challenge to a rather well behaved classical animal like me and I'm growing extremely fond of the over-the-top temperament required to pull it of.